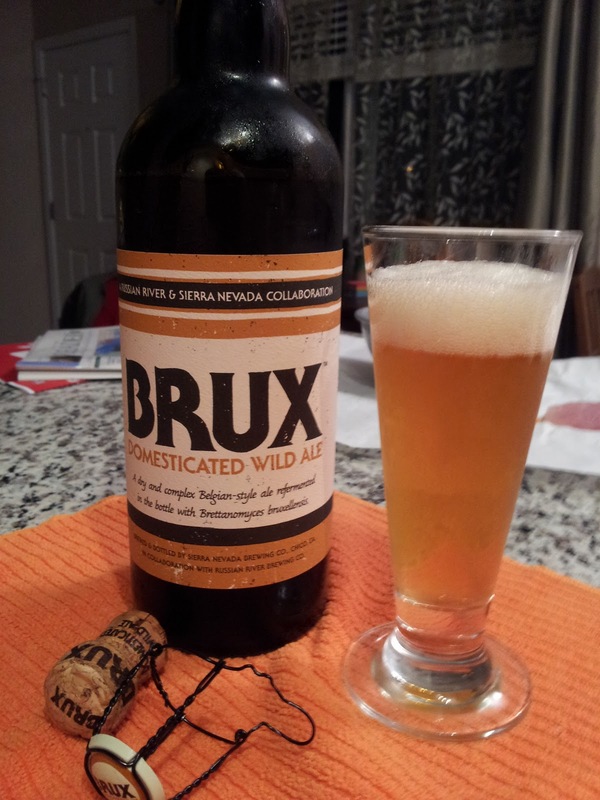 The label describes this as a "dry, complex, Belgian-style ale" that's been bottle fermented with wild yeast (Brett). It's not hard to tell, though, that it's over-carbonated, which can make it too harsh when it's really cold; however, as it warms all the brilliant flavors come flooding out.... The classic Belgian-blonde-ness. The wild-yeast influence. A bit of cola. I even taste some white wine grape--maybe a chardonnay barrel fermentation stage? It's definitely impressive all around, but only once you get to the actual flavors and past the edges. On the whole I think it's too harsh, probably because it was meant to cellar for a while. And, in fact, the label also mentions this. I wish I'd paid attention to the label when I first purchased it, but at 4.2 NSP it's a hard sell to buy multiple bottles, even given RR and Sierra Nevada's reputation. Tasting it has made me want to try it again, so if it's in the stores soon, I'm grabbing a few for the cellar. Cheers--to a successful collaboration. Can we expect more from these too? Let's hope.